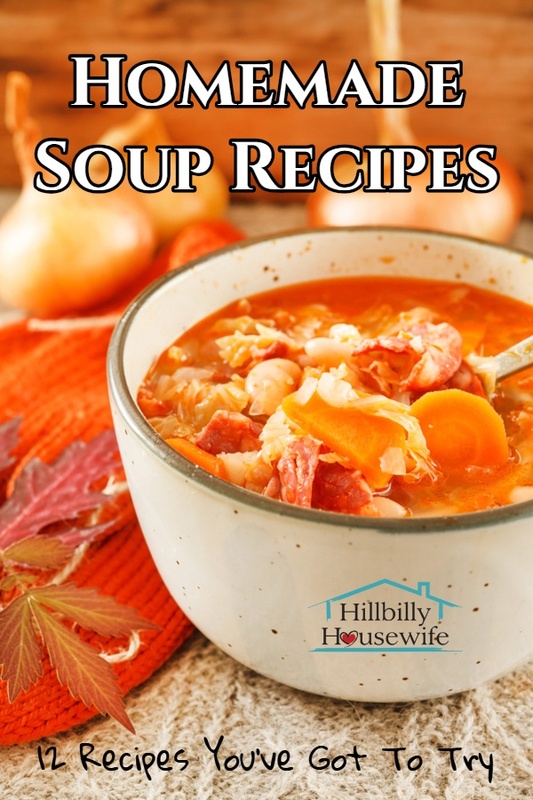 In honor of National Homemade Soup Day (February 4th), I shared a few of my favorite homemade soup recipes on the Hillbilly Housewife Facebook page. Social media being what it is, there’s a good chance you missed them. Which is why I decided to put together a quick blog post of these 12 delicious homemade soup recipes. 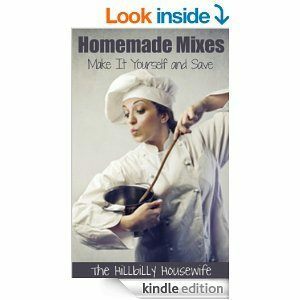 This being a Hillbilly Housewife post, you know the recipes will be good, filling, and most importantly frugal. No fancy ingredients here. Just plain old homecooking… which is always the best if you ask me. This is a great time of year to make a big post of soup. It’s filling and it will warm you right up. But then again, I don’t think there’s ever a bad time for soup. In the spring, you get to use up some of those first herbs that grow on the window sill or in the garden. In summer, there’s nothing better than a light soup on a warm summer night. I use my slow cooker and instant pot a lot during those warm days to keep from heating up the house. In fall, the evenings are getting colder and there’s so much fresh produce to work with that just calls to be turned into soup. And in winter there just isn’t anything better than a hot cup of soup. Here are the twelve soup recipes. There are some very good reasons to fix and eat soup more often. Let’s start with the obvious. Soup is delicious. It’s one of those tasty comfort foods that make you feel better when you’ve had a rough day or you’re feeling a bit under the weather. Soup can also be quite healthy. When you start with good ingredients and layer in those veggies, you end up with a healthy dish that’s good for the body. Since soup usually includes quite a bit of liquid and can be relatively low calorie, eating soup more often may even help you shed a few pounds. And then there’s my second favorite benefit of soup. It’s frugal. You can make soup out of almost anything and even the most pitiful looking veggies perk right up when you use them in a soup. 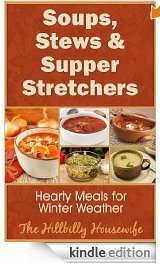 You can even stretch soup to feed a few extra mouths when needed. Ready for more delicious homemade soup recipes?